We are so excited about our playground and waterpark! It is a wonderful addition to our nursery and daycare area. Dogs under 25 pounds that stay in the daycare or nursery area have daily unlimited access to play till their hearts are content or their tails are wagged out! 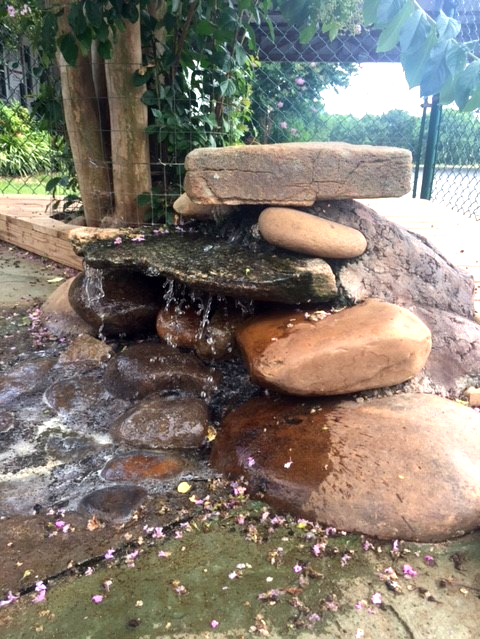 They have a river, waterfall, and a shallow pool to cool off in with fresh moving water. 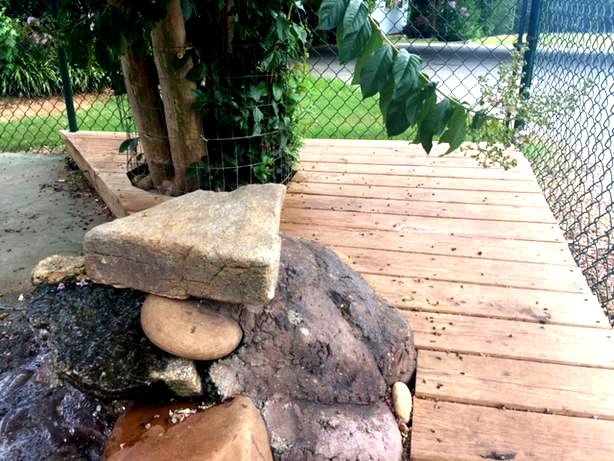 They also have a porch, and toys with a bridge to climb and the shade of beautiful trees. It is a doggie paradise! Bring your dog to vacation while you are on your vacation, you really couldn't offer them a better treat! Our Puppy Play Park is the newest addition at Holly's. We know your sweet little ones are going to love it. It is our 12 and under park. This means dogs that are 12 lbs and under or 12 months and under. There are lots of things to play with including toys, a caterpillar tunnel, and a bridge for practice going up and down stairs. The park is completely shaded.